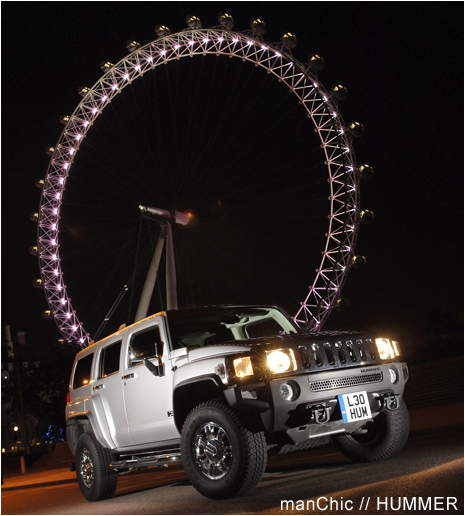 Stratstone, Park Lane in the heart of London is to be one of five exclusive Hummer outlets in the UK. The brand launches - for the very first time - a version of the traditional US Army vehicle with right-hand drive. The Hummer H3 is smaller and hence more agile and lighter to drive than the larger H1 and H2 models that would probably struggle on some of London's smaller roads. Wayne Rooney's got one. So has David Beckham. Prices start from £26,495. 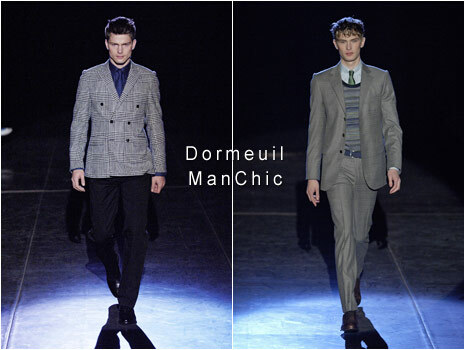 Dormeuil - Renowned worldwide for their collection of luxury fabrics, Dormeuil didn't disappoint with their Fall 06 Men's collection. 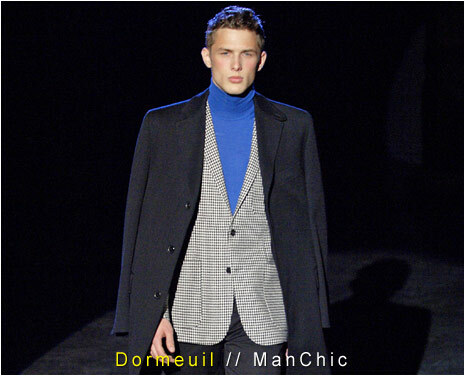 Black and white dogtooth check adorned the invitation as well as the models in a collection that was soave and elegant but which still maintained a masculine bite to it. 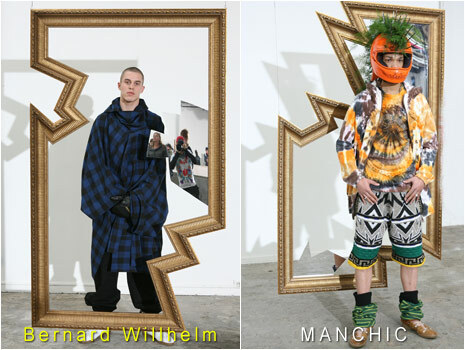 Bernard Willhelm - Exhibition fashion, but minus the restraints of frames, as Willhelm demonstrated in his break-out style. Creative and bold. 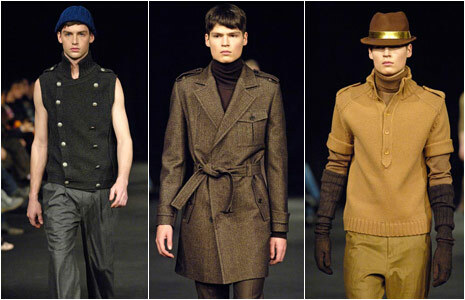 Wooyoungmi - Army caps, three-quarter length coats (with belt loosely tied around waist) and Trilbys were some key pieces in Wooyoungmi's fall collection. 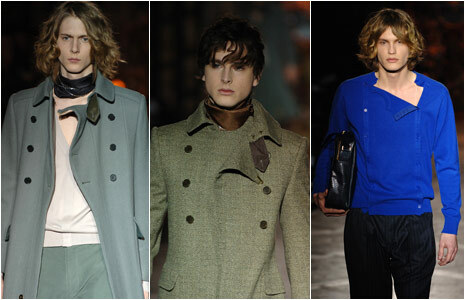 A fresh collection that contained a raw edge with neutral colours.Wooyoungmi Army caps, three-quarter length coats (with belt loosely tied around waist) and Trilbys were some key pieces in Wooyoungmi's fall collection. A fresh collection that contained a raw edge with neutral colours. Gieves - One of Britain's most established and respected menswear labels demonstrated exactly why they are still the cream of the crop. Beautifully tailored overcoats, neckerchiefs and a shock of electric blue make the Gieves man one of the most stylish in town. 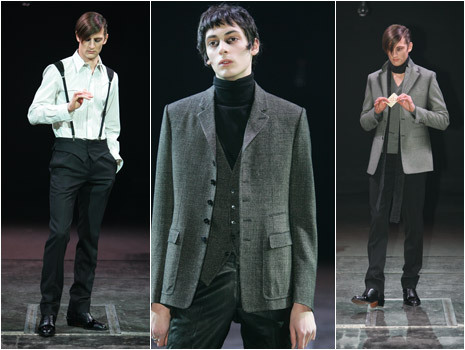 Ute Ploier - Raw, edgy and smart for the collection by the Austrian born designer. 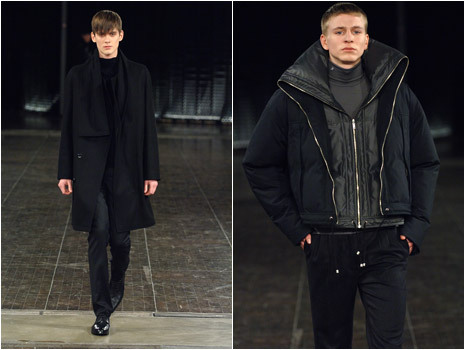 Tapered trousers under three-quarter length coats, check patterns and razor sharp detailing. 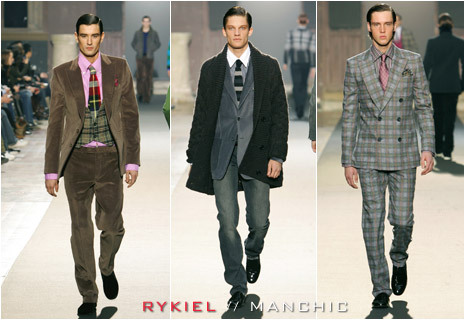 Rykiel Homme - Tweeds made for a Scottish highland fling with a difference at Rykiel Homme. Often paired against each other (with a tie, waistcoat or suit) the differing tweeds offered an eclectic mix in a collection that also featured velvet suits, 'Saint Germain' branded tops, and leather driving gloves. 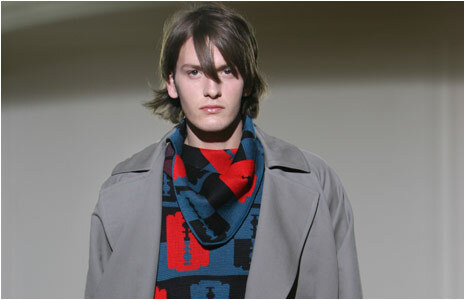 Raf Simons - A seriously stylish collection of largely black and white with little in-between was shown. Zip details and tapered black trousers also were strong features. Gilles Rosier - Magic skills, sophistication and a touch of Magritte all worked together for a dark-arts flavour to Rosier’s offerings, complete with a white dove. 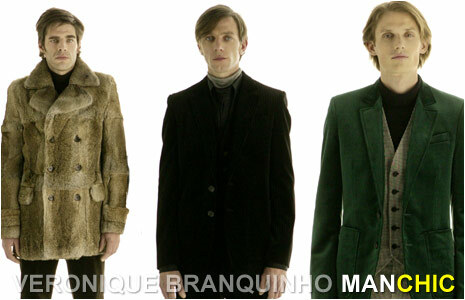 Presented in a fresh exhibition style, Veronique Branquinho offered some beautifully tailored pieces including some smart buttoned pea-coat type jackets. 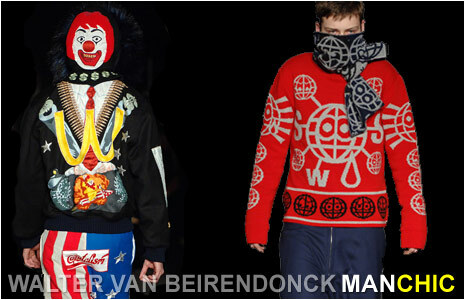 Political drama was definitely the theme for Walter Van Beirendonck’s collection. 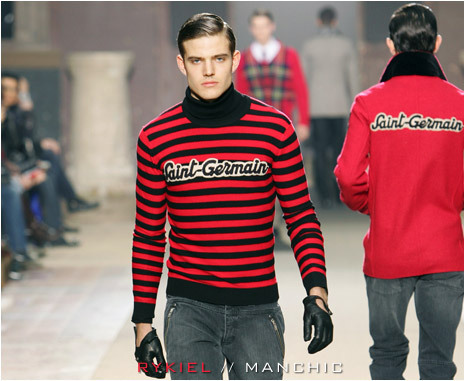 ‘Stop Terrorising Our World’ in different languages was emblazoned on jumpers, jackets and boiler suits, before the models – in front of the audience, and whilst adding coloured confetti to their faces – undressed and reversed their clothes to reveal an onslaught on western capitalism featuring characters such as ‘Mr. Greedy’, ‘Bearman’, and ‘The Manipulator’. If (like me) you’ve recently joined a gym, and are finding yourself in the position whereby a lot more people than usual are catching sight of your underwear on a regular basis, then now’s the time to sort yourself out with some stylish pants. I’m sure I’m not alone when saying the current men’s underwear market has become saturated with the tired and over-popular designer brands emblazoned with logos that, whilst smart and well-designed, offer no personality whatsoever. Where’s the individuality? Why must we all be subject to our asses being branded with the same logos as everyone else? Fortunately there are a few brands around at the moment that will give you style, comfort and offer a very unique twist to give you a strong sense of individuality down below.